Home under construction. Estimated completion Feb / March 2019. New home with builder 2-10 limited warranty! Beautiful 4 bedroom ranch plan with lots of entertainment space, open concept kitchen and great room layout. Kitchen comes with stainless steel appliances. 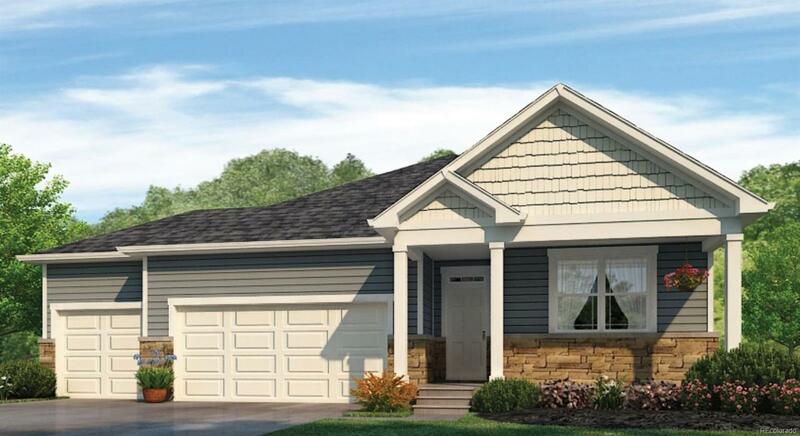 Home comes with 3 car garage and full yard landscape completed for you. Brighton Crossing includes two private swimming pools, two community recreation centers, several parks and close to lots of shopping. Easy access to I-76 for Denver commuters and only 22 minutes to DIA. Photos are representative, not of actual home.